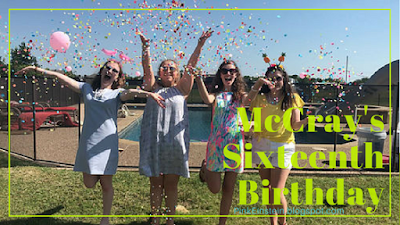 Life as Pink Einstein | Dallas Fashion and Lifestyle Blogger: McCray's 16th Birthday Party! 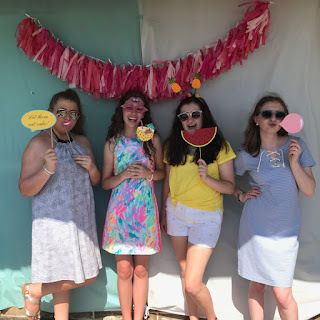 McCray is turning sixteen today and I attended her party a couple of weeks ago. Let me just say that McCray throws the best parties. 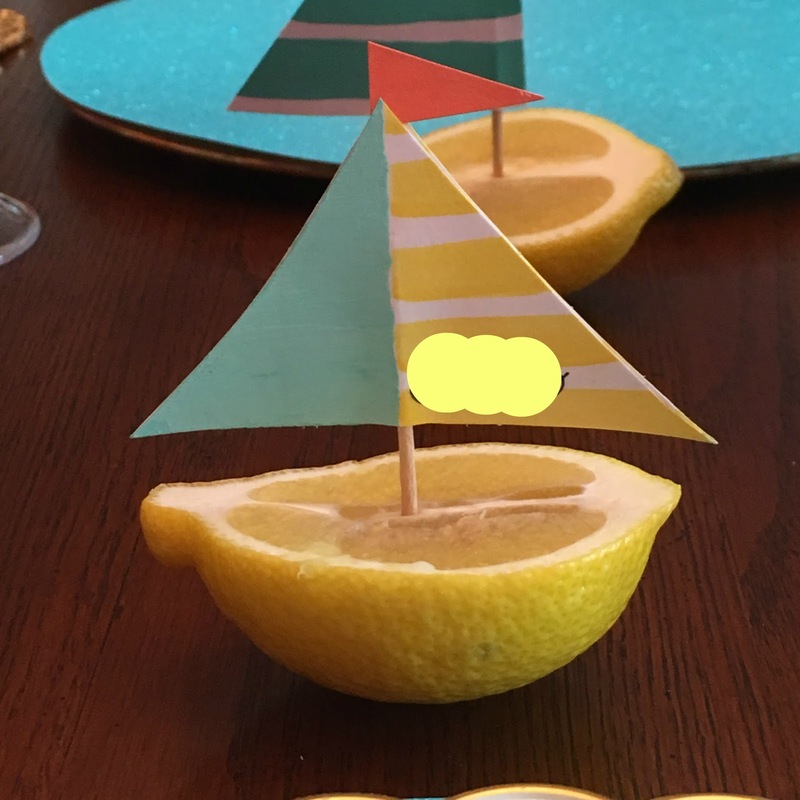 The whole party looked like something out of a Pinterest post! I always come home from her parties with tons of fun pictures and never have anything bad to say about the event. We had lots of fun at the party and I have tons of fun pictures to share. So here's to you McCray, happy sweet sixteen! The table set up was so cute! She had real fruit as flower vases and jars filled with flowers and amazing food! McCray had a photo booth at the party with tons of fun props! She made most of the props including a lipstick, fun speech bubbles, watermelon, and pineapples. She also had cute sunglasses and headbands that we could wear. This was the drink table she had set up for us. There was homemade punch, sweet tea, and lemonade. She also had fun drink accessories such as straws, lemon and orange slices, flamingo stir sticks, and umbrellas. Like I said, the party looked like it was straight off of Pinterest. She found the recipe for the tomatoes on Pinterest and made biscuits like the ones you get from Chick-fil-a for breakfast with the mini chicken biscuits to go along with our Chick-fil-a chicken nuggets. She also made bread sticks shaped like anchors that had garlic and cheese sprinkled over the top! Yum! The three flower vases above were our party favors, I took the white roses. She had a variety of yummy chocolate covered fruit including apples, pineapples, strawberries, and watermelon. The drink table; she had Lilly napkins!! 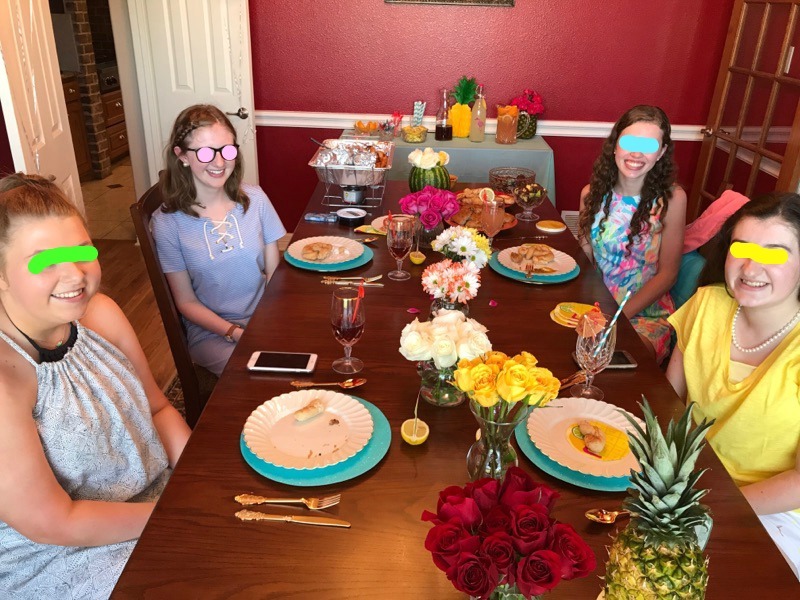 When she made the chocolate covered fruit, she took the left over outside of the fruits and turned them into flower vases. There was a watermelon one and a pineapple one. Here is her gift table. 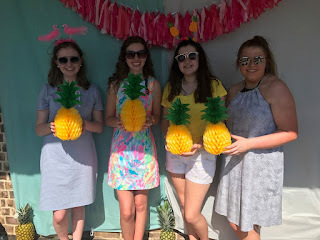 She had a pineapple banner across the table that said "gifts" and the "M" was for the guests to sign and we each took an individual polaroid with her that she glued to the "M" by the birthday note that we wrote her. We played croquet! It was everyone's first time playing and it was a hilarious experience! I was absolutely terrible at it but it was so fun! 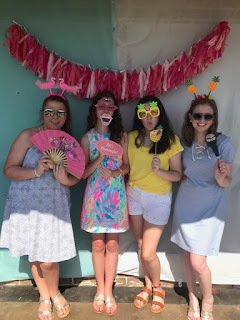 The photo booth had to be one of my favorite parts of the party but it always is! I love taking fun pictures with my friends! That was our amazing day! Happy birthday McCray, I hope your day is absolutely fabulous! !